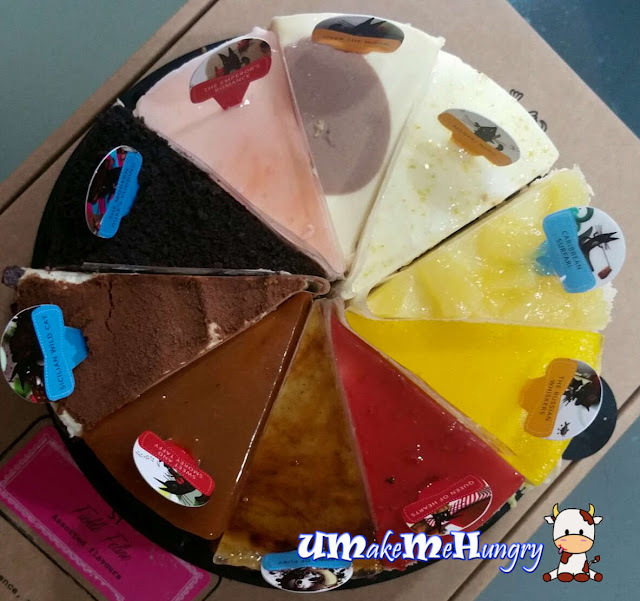 If you don't know, Chef Daniel Tay is the one who is behind this online cheese cake specialist shop. He was trained in the art of classical French pastry and dessert making and has worked with the legendary gourmet food retailer Fauchon of Paris. While in Singapore, if you have heard of Les Amis, he was the Pastry Chef of this famous French restaurant. 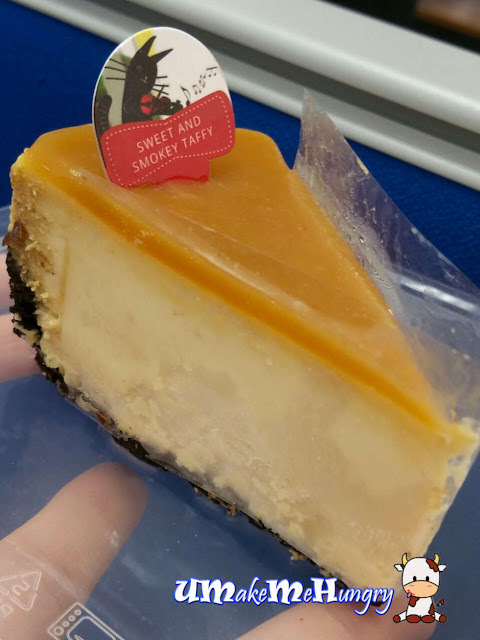 The online cheese cake has made ordering at ease in a few clicks, giving an option to self collect on the day itself or delivery at the next day at additional $9.90. For Coffee and tea lover, Paws of Fury will be a perfect choice. The creation from traditional yuan-yang (coffee and tea mix) with 3 parts made of Espresso and 7 parts made up of Hong Kong Style Milk Tea. Yummilicious! Resembling the tropical flavours and style from Pina Colada, the cake has a rich blend of coconut cheese cream with juicy pineapple and rum. An exotic taste whetting your appetite for more. Inspired by the cocktail Lychee Martini, the Emperor's Romance is cottony soft, which kind of integrates in the mouth at a slightest pressure. It is made up of tropical lychee & raspberries blended with martini. Do take note that it contains alcohol. 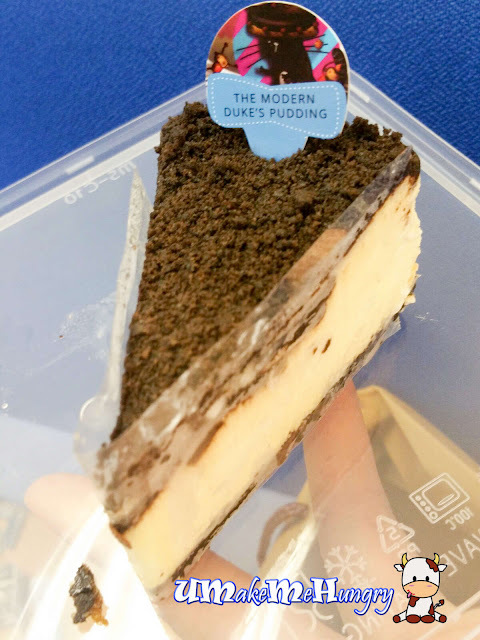 The smoothness of the cheese cake together and the texture of the oreo cookies crumbs that topped the cheesecake was simply awesome. 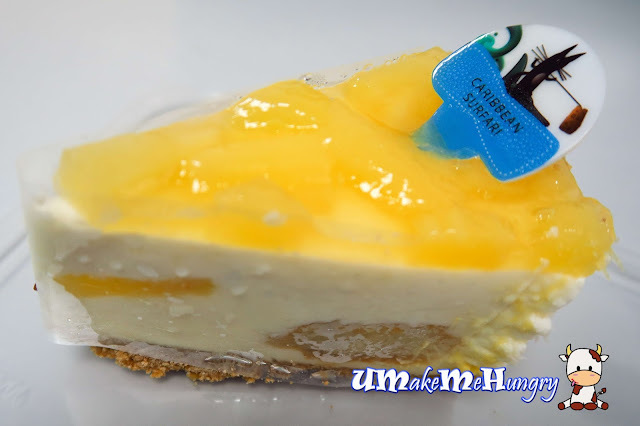 It kind of give us riots of texture between the crumbs and the creamy smooth cheese cake. 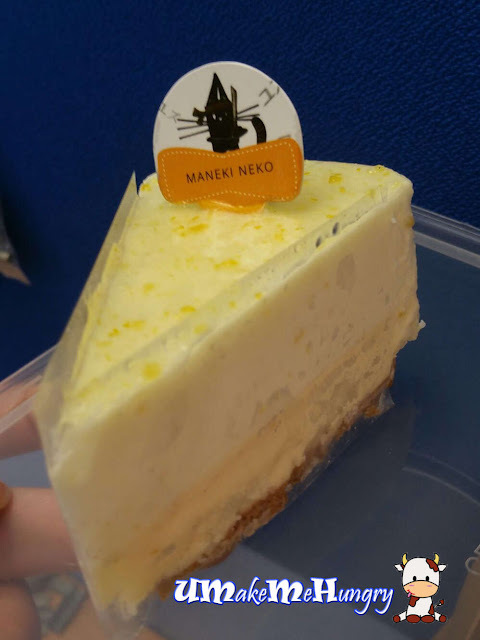 This piece of Maneki Neko cake is packed of citrus flavors, making up of blended yuzu, lemon and lime. 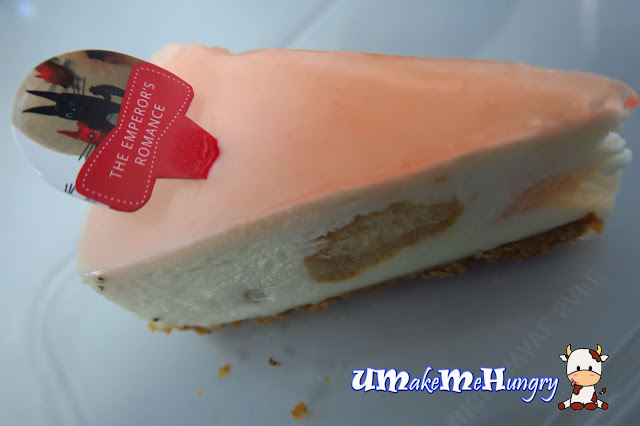 Its tangy and refreshing taste hit a impressive note at the first bite. 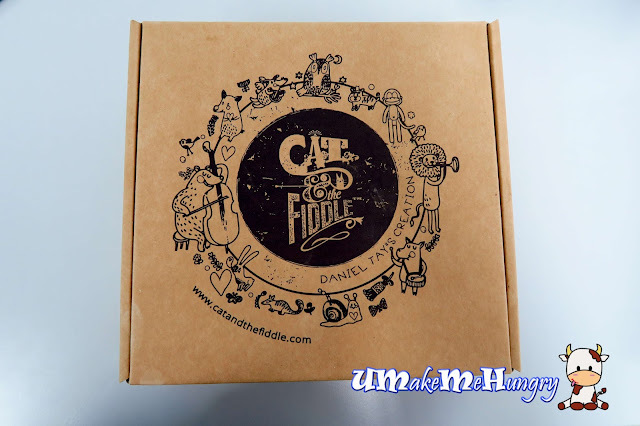 Since Maneki Neko is a common Japanese Cat Figurine which is believed to bring good luck, I guess who have taken this will be blessed with good luck. A combination of Toffee-sweetness and sea-saltiness for caramel lovers! With an oreo biscuit crust that is crunchy, I would say the trio blends in well togethe. What a pleasant creation. Having tried its assorted cheese cake, Fickle Feline had given me a rough idea of which flavour of cheese cake to order next. Some of their flavours were unique and interesting. Quality and taste was better than average. As for pricing, it is consider reasonable. Cheese flavours are generally mild which is good as I do not feel "jelat" after trying. It is best to keep the cakes chilled as it tends to collapse shortly after putting on the table even in an air-conditioned environment. Do Share your calories around!